I found my first Liberty “V” nickel and its my oldest coin of this year at 1891. Its not the prettiest coin to look at, but it’s sweet to me! Finding really old coins in our area has turned out to be a real task. No silver for me recently, but my brother found a Franklin half dollar and my friend found his first barber dime (1902). So I’m encouraged there is still cool stuff out there to be found. Ironically, the Liberty nickel and the barber dime was found in a park we didn’t realize was that old. 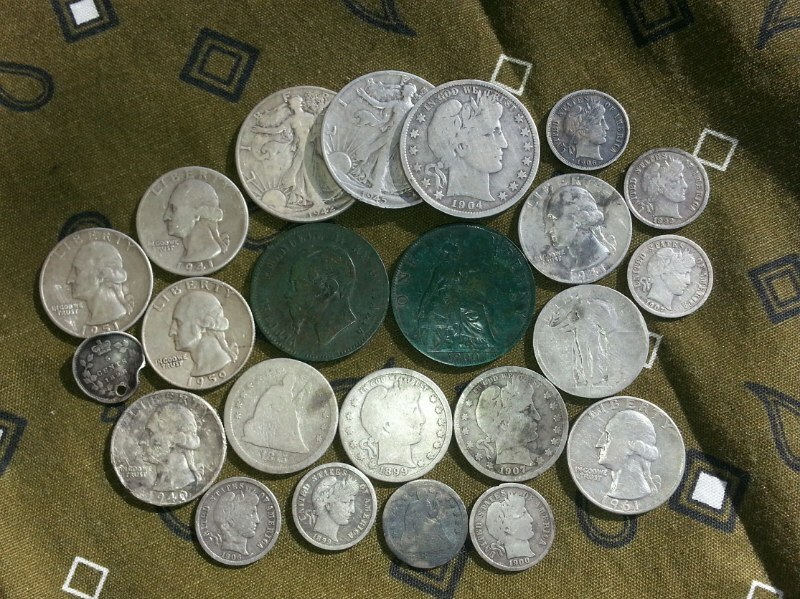 We also found a 1910, 1912, 1919 wheat pennies and a1917 mercury dime, 1902 Indian head penny there. We had no idea we would find anything that old, so you never know. Happy digging! !